Geo.tv – Pakistan’s women team lost their second match of the Women’s T20 Asia Cup Tournament by a margin of seven wickets against Bangladesh on Monday at Kinrara Academy Oval, Kuala Lumpur. Pakistan’s women team lost their second match of the Women’s T20 Asia Cup Tournament by a margin of seven wickets against Bangladesh on Monday at Kinrara Academy Oval, Kuala Lumpur. 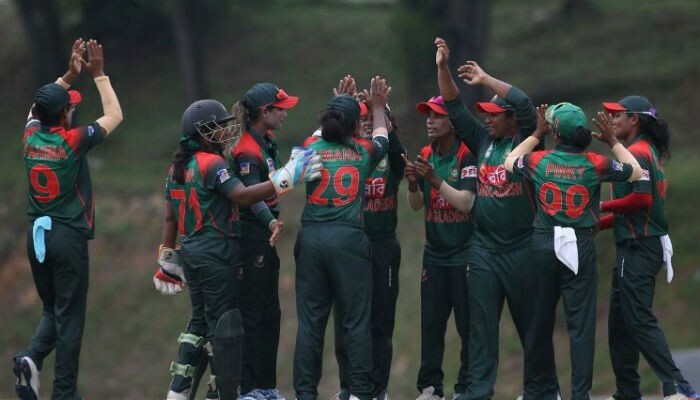 Photo: ESPNPakistan’s women team lost their second match of the Women’s T20 Asia Cup Tournament by a margin of seven wickets against Bangladesh on Monday at Kinrara Academy Oval, Kuala Lumpur. Pakistan next take on Sri Lanka on June 6 while Bangladesh will clash against table-toppers India.